The US trademark system provides for both federal and state protection of trademarks. Whether under federal or state law, registration is not a prerequisite for enforceable rights. What is required is use of the mark in the ordinary course of business and not merely to reserve rights in the mark. Also required is a term, device or dress of goods or services that functions as a mark to indicate source or sponsorship or affiliation. That is, what is asserted as a mark must not be functional, ornamental, generic for the goods or services, merely descriptive without acquired distinctiveness or merely informational. The procedural and substantive benefits that accrue to federal registration, however, are substantial enough that federal registration is generally sought by trademark owners, where possible. Typical instances in which federal protection by registration is not sought include where the use of the mark is expected to be short-lived, the use is in the nature of a descriptive or highly suggestive tag line, the use is essentially ornamental or informative and has not been substantially exclusive, or there is a prior user or holder of an incontestable trademark registration operating in a remote geographic area in a manner such that there is no foreseeable overlap in the marketplaces in which likelihood of confusion might arise. The principal statute dealing with trademark and unfair competition law in the United States is the Lanham Act, 15 USC Sections 1051 et seq. The Act has been amended numerous times since its effective date more than 70 years ago. The amendments have, among other things, made dilution of famous trademarks a federal offence and provided statutory damages as a remedy against sellers of goods bearing counterfeit marks, and permitted the filing of applications for registration based on an intent to use. The United States has adhered to the Madrid Protocol (enacted as Madrid Protocol Implemental Act of 2002, 15 USC Section 1141), and international registration filings have become increasingly popular as a means of extending protection to other jurisdictions in a more economic manner than securing individual national registrations. Because there are protections for trademarks under both federal and state law in the United States, registrations may be secured through the United States Patent and Trademark Office (USPTO) or the trademark offices in each of the states and territories. The USPTO's Trademark Trial and Appeal Board (TTAB) hears appeals from refusals of registration by examiners at the USPTO and also challenges to registration in inter partes proceedings, primarily oppositions and cancellations. Appeals on matters of registrability may be taken to the Court of Appeals for the Federal Circuit or to a United States federal district court. The TTAB can only determine questions of registrability. It cannot enjoin use of a trademark or award either attorneys' fees or monetary damages. The federal district courts also have authority under the Lanham Act to rule on issues of registrability that are raised in appeals from TTAB decisions and also in civil litigation directed to trademarks under the Lanham Act, 15 USC Section 1120. The federal district courts, unlike the TTAB, have the authority to enter mandatory and prohibitory injunctions and grant awards of attorneys' fees and costs and damages, pursuant to 15 USC Section 1117. The state courts have parallel jurisdiction to hear questions of trademark infringement under state and common law. The state courts generally follow the federal precedential decisions and, except where there is some difference between the laws (such as the dilution provisions where the state statutes do not require the same degree or level of fame as the Lanham Act), the state and federal laws are considered to be essentially the same. The geographic scope of injunctive relief granted by a state court may be more limited. Trademarks may be registered both under federal and under state law. The state statutes generally track the federal statute on matters of registrability. Marks can be protected whether or not registration has been secured. Unregistered marks are entitled to protection based on use in the geographic areas within which the mark has been used and otherwise made known, such that there is a reputation and goodwill entitled to be protected in the interest of avoiding likelihood of confusion of the relevant public and trade as to the source or sponsorship of the goods or as to an affiliation between the providers of the goods or services. Marks that are well known, whether or not they are registered for particular goods or services, may be entitled to a broader scope of protection based on the likelihood that there will be a misperception of source, sponsorship or affiliation, even on goods not closely related to the core business for which the mark is well known. This is predicated on the prevalence of licensing as a means of extending the recognition of a mark to goods and services beyond the core business, as well as generating additional revenue streams for the mark owner. The scope of protection that a mark (or name) is accorded depends not only on the inherent strength of the mark or name (for example, a mark lacks inherent strength if it is highly suggestive of the nature of the goods or an aspect of the services, and a mark has inherent strength if it is fanciful, that is to say a coined term having no meaning or if there is no meaning relevant to the particular goods or services) but also and often more so on the commercial strength acquired through commercial success. Trade names and the names under which businesses are known can be and are protected from infringement both under federal and state law in the same manner as unregistered trademarks. Protection is predicated on the fact that such names function to identify the source (i.e., the business offering the goods or rendering the service) to the relevant public and trade. Corporate names and fictitious names are registered on a state-by-state basis. Such registrations provide no basis for action against entities using the same or similar names and, more importantly, such registrations provide no defence to claims by a prior user that the fictitious name or other name infringes its rights where there is likelihood of confusion. The likelihood of confusion must be a tangible one and not simply hypothetical based on the filing and registration. Trade names and business names that are subject to protection under federal and state law, and domain names, cannot be registered as trademarks except to the extent that they are used as trademarks, but the laws with respect to unfair competition preclude use of marks or names that are likely to cause confusion with existing marks or names (see Section 43(a) of the Lanham Act). Note also that Section 2(d) of the Lanham Act permits oppositions to registration of a mark and petitions to cancel a registration of a mark based on prior use of a trade name. The extent of protection granted to such names is limited to the area within which the name is known and associated with a single source of origin with respect to that particular business, in much the same manner as protection for unregistered trademarks. Geographical indications are protected under US law through a combination of statutory provisions. Certification marks identify products that conform to a specified standard that may include geographic origin (e.g., Idaho potatoes). The Lanham Act prohibition against false designations of geographic origin (Section 43(a)) precludes use of deceptive statements of origin (referring to a sparkling wine from California as 'Champagne', for example). Section 2(e) of the Act precludes registration of deceptively misdescriptive geographic terms. It is doubtful whether a producer of cream cheese products in Philadelphia could truthfully label a product as 'made in PHILADELPHIA' or 'PHILADELPHIA made' in light of prior registration for the city name for the product in question. Domain names are website addresses. The domain name is a unique identifier of a web address and nothing more. There is a provision under Section 43(d) of the Lanham Act that addresses cybersquatting. There is an in rem action that can be brought against domain names that consist essentially of counterfeits of marks. The issue with domain names is complicated by the fact that the registration of the name may be, and often is, divorced from any specific content that would create a likelihood of confusion as to source or sponsorship for any discrete visitor to the site. To the extent that a domain name is also used as a trademark or trade name, the name can be protected as a mark or name. Applications for registration can be filed on the basis of use or intent to use. No registration will issue until a declaration of use and proof of use are filed. The exception is for registrations based on a non-US registration under international conventions. Noteworthy in this connection is that while a non-US entity does not need use in the United States to secure the registration, the registration is subject to cancellation if the registrant cannot file proof of use in the United States for the goods or services identified in the registration certificate between the fifth and sixth years after the issue date of the registration. If an application is filed on the basis of use, and there are no objections raised to the application as filed, and there are no extensions of time to oppose, and if no oppositions are lodged against the application, registration should issue between nine and 11 months of the filing date. According to the USPTO, it takes about three months for the trademark application to be reviewed by an examiner and, on average, approximately 10.7 months for the application to reach registration. Any USPTO actions raising issues with respect to the application, such as with respect to descriptiveness or functionality or prior registrations or the identification of goods or the sufficiency of the specimens of use, will delay acceptance of the application for publication for the purposes of opposition. If the application is filed on the basis of intent to use, and the declaration of use is not filed and accepted before the mark is approved for publication, a notice of allowance will issue after the close of the opposition period. The applicant then has six months to file a declaration of proof of use, or a request for an extension of time to make the filing. The applicant may secure up to five extensions of six months each to file the proof of use. The fees associated with these filings are US$325 per class for electronic filing using the regular Trademark Electronic Application System (TEAS) form, and US$275 for electronic filing using the TEAS PLUS form. There is a wide range of words, phrases, designs, symbols and product and package configurations that are inherently registrable. There are some marked exclusions within that listing of items potentially inherently registrable. That is to say, an applied-for 'mark' may be found not to be inherently registrable if, in relation to the goods or services identified in the application, it is merely descriptive, primarily a surname, primarily geographically descriptive, or if it fails to function as a mark by virtue of being ornamental or informational, or functional in the context in which it is used. Marks that are merely descriptive or primarily surnames may be registered on the basis of acquired distinctiveness. Five years continuous, commercially significant and substantially exclusive use creates a presumption of acquired distinctiveness. For highly descriptive marks, more proof may be required; and in appropriate cases, less time is required for a finding of acquired distinctiveness. Prior rights may provide a basis for precluding registration or cancelling a registration. Prior use in even a limited geographic market provides grounds for defeating a registration if the junior use or trademark claim is of a confusingly similar mark used in connection with the same or related goods or services. Prior rights, however, may be extinguished and so become unavailable as grounds to challenge the registration of a junior user's mark. These prior rights may be extinguished in a number of ways, the most common of which are (1) abandonment, with non-use for three years giving rise to a presumption of abandonment; (2) naked licensing so that the mark no longer functions to identify the senior user as the source of the goods or services; and (3) assignment in gross, where the mark is separated from the goodwill associated with it. With respect to abandonment, it is worth noting that a change in the form of the mark, from that in which it is was registered, may leave the registration subject to cancellation, which may affect the respective rights of the parties even where the use of at least some component of the mark as originally registered remains in use. The inter partes proceedings are governed by the Federal Rules of Civil Procedure and the Federal Rules of Evidence, except where the TTAB has established an exception to the Federal Rules. Recent rule changes have been made to make the proceedings more efficient and less costly, permitting testimony to be made of record by declaration so long as the declarant is subject to cross-examination, and limiting the extent of interrogatories and requests for production of documents that may be made in discovery. Under consideration is a rule change to simplify and expedite cancellation proceedings brought on the basis of abandonment of the mark of the registration. Concurrent use proceedings are available in limited circumstances.4 The difficulty in securing a concurrent use registration is the requirement that each or all the parties operate in a distinct geographic market, such that there is no likelihood of confusion arising from the concurrent use and registration. This creates obvious difficulties with online sales of goods and is best adapted to local food service operations, medical practices, community banks and credit unions, and other service industry segments where the customer base is largely local. Appeals from decisions of the TTAB may be taken to either the Court of Appeals for the Federal Circuit or to a US district court. There are marked differences between these courts for appeals. An appeal to the Federal Circuit is decided on the basis of the record before the TTAB. No new evidence and no new claims will be considered. If the appeal is taken to a district court, there is an opportunity to raise new claims and to introduce additional evidence. By way of example, if the issue is whether secondary meaning in a mark has been achieved, and the record below was not persuasive, a survey or other expert evidence might be introduced. In the context of an appeal in an inter partes proceeding, a claim for infringement may be brought. Alternatively, a claim for a declaratory judgment of non-infringement may be introduced into this proceeding. Civil actions for trademark infringement and unfair competition in the nature of trademark infringement (akin to passing off) may be brought either in state courts or in federal district courts. The advantages of filing in the federal courts include the ability to secure nationwide relief, access to broad subpoena power to secure testimony, and a substantial body of precedent. The advantages of filing in the state courts include (1) greater familiarity with state statutes that may provide an ancillary basis for recovery (state unfair trade practice acts may provide a competitor with a cause of action); (2) state dilution statutes will not require the same degree of fame as is required for a plaintiff to prevail on a federal dilution claim under the Lanham Act 15 USC Section 1125(c); and (3) greater familiarity with the local market and other conditions, which might make confusion more likely or might result in a particular understanding of a term in issue. 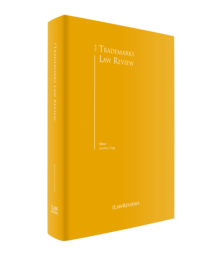 Prior to commencement of an action for trademark infringement, there are a number of steps the potential claimant may take. Diligence is always advisable, to confirm priority and to ascertain the strength of the claim, potential weaknesses and counterclaims. Where there is some doubt as to the strength of the claim, a pre-litigation survey may be undertaken to ascertain whether it may be advisable to pursue a course other than litigation. Once the decision has been made to proceed, it is usual, but not mandatory, for a cease-and-desist letter to be sent to the appropriate party on the other side. The cease-and-desist letter should be drafted with care and sent only when the client is committed to litigate if an amicable resolution cannot be achieved. One benefit of a cease-and-desist letter is that it can open up a dialogue. It can also bring out issues and facts not previously ascertained that affect the determination of how best to proceed. Before litigation begins, the parties can agree to take steps to resolve a dispute, including the informal exchange of information and documents that otherwise would not be available until the formal discovery process has begun. The parties may agree to a settlement conference or even mediation. These discussions have the possible outcome of a business resolution that addresses the needs of both parties. In civil litigation, the actions typically brought in federal court are for trademark infringement under the Lanham Act 15 USC Section 1114 if the mark is registered and under 15 USC Section 1125(a) whether or not the mark is registered. Section 1125(a) of the Act provides a federal cause of action for unfair competition in the nature of trademark infringement. The unfair competition claim is essentially a claim for passing off. While only the owner of the registration can bring a claim for infringement based on registration, an exclusive licensee can bring a claim under Section 1125(a) for violation of rights. The test for violation of the statute is essentially the same, whichever provision is invoked: Is there a likelihood (that is, a probability and not a mere possibility) of confusion as to source or sponsorship or affiliation? The determination of infringement or passing off is based on consideration of various factors, most particularly the degree of relationship between the goods and services and the degree of similarity between the marks. Also of importance are any evidence of actual confusion where such confusion might be expected to have come to the parties' attention, the conditions in which purchase decisions are made, overlap in trade channels and classes of customers, the strength of the senior user's mark and the intent of the junior user. The benefit of being able to invoke a registration on the Principal Register5 are the evidentiary presumptions of ownership and the exclusive right to use of the mark for the goods or services identified in the certificate of registration. Those presumptions are rebuttable for only the first five years after the date of issue of the registration.6 If the plaintiff's mark has nationwide fame, a claim for dilution may also be brought under Section 1125(c). Disputes as to trade or business names may be resolved in federal court under the same provision of the statute as protects unregistered marks. Trademark and trade or business name disputes may also be resolved in state courts on essentially the same basis. Disputes that relate to use of company names that do not involve trademark or trade name-type use are resolved at the state level and the procedures vary from state to state. In civil actions for trademark infringement or unfair competition in the nature of trademark infringement, the proceeding is commenced by the filing and service of a complaint in accord with 15 USC Sections 1114 and 1121. The plaintiff may or may not ask for preliminary injunctive relief. The defendant may respond by filing a motion to dismiss on a number of grounds, including lack of jurisdiction and failure to state a claim on which relief may be granted. The defendant may answer and file and serve counterclaims for a declaratory judgment of non-infringement, or for infringement if the defendant believes it can establish priority, or for cancellation of the plaintiff's registration on any of the grounds on which a cancellation petition might be filed in the Trademark Office. Once the issue is joined, the district court will schedule a conference with the parties to set the timetable and particular rules for the proceeding. Prior to beginning discovery, the parties will make initial disclosures to each other, identifying those persons believed to have knowledge of the matters at issue and the location of the documents relevant to those issues. Discovery will typically include written interrogatories, requests for production of documents and requests for admissions. The grounds for objection to discovery directed to matters at issue in the proceeding are limited; but recently the courts have been more willing to limit the extent of discovery when the burden and expense of production is not warranted by the value of the case. After fact discovery concludes, there is generally a period for expert discovery. Typical expert testimony comes from industry experts who can opine about what is standard or customary or not in the industry, technical experts who can address whether or not a product configuration or package design is functional, survey experts who can testify to consumer or purchaser perception based on research they have done, and damages experts. Other types of experts called upon may testify as to the genesis or meaning of terms, as linguists. At the close of discovery, and assuming the matter is not resolved on the basis of a summary judgment motion where the court determines that there is no material issue of fact, a trial on the merits is not required and the outcome can be determined as a matter of law, there is a trial that may be conducted with or without a jury, depending on the nature of the relief sought (where only injunctive relief is sought, there is no entitlement to trial by jury) and whether or not a jury demand has been made in a timely manner by either party. At trial, the parties have the opportunity to introduce evidence and present argument. Proceedings before the TTAB follow a similar pattern and the same evidentiary and procedural rules generally apply, but there are some notable variations. There is no live testimony in a TTAB proceeding; however, either party in an inter partes proceeding can request oral argument. The resolution is restricted to the question of registrability of the mark as shown in the application or registration at issue and to the goods and services as set out in the identification of goods and services. That is, the real-world marketplace context may not be considered if the subject mark is presented in block letter 'standard format' rather than in the logo form actually used, and the precise channels of trade may also not be considered if the application or registration contains no restriction on trade channels and the goods and services are such as move through other or broader channels of trade. There is a broad range of remedies that may be granted by the courts once infringement is found. The statutes provide for injunctive relief. Injunctions may be mandatory as well as prohibitory. That is a court can order a recall of goods bearing the infringing marks. A court may order that corrective advertising be undertaken or disclaimers of affiliation be added to materials to be published or otherwise made available. More commonly, injunctive relief is prohibitory. The defendant is ordered to stop the conduct that is the basis of the complaint. There may or may not be a period within which the defendant must comply, such as 30 days from the effective date of the order. The prohibited conduct may be described in more or less detail. The statutes also provide for monetary relief.11 The recovery can take the form of disgorgement of the profits the plaintiff would have made but for the infringement, particularly when the market is comprised only of the two parties. The recovery can take the form of the profits the defendant accrued that were attributable to the infringement. Recovery can also take the form of whatever other damages the plaintiff can establish with some specificity, such as the amount spent on corrective advertising to remedy the misunderstanding and confusion. Enhanced damages are available in limited circumstances, such as counterfeiting (15 USC 1117(b)) or in the case of a repeat offender. While the federal statute provides for attorneys' fees to be awarded to the successful party, this remedy is granted in 'exceptional circumstances', such as when the losing party has through the course of the litigation demonstrated bad faith, raised frivolous arguments, or otherwise engaged in misconduct offensive to the court. There are a number of other venues and measures for approaching violations of trademark rights. While the Lanham Act provides for enhanced damages and statutory damages for use of counterfeits of registered marks on and in connection with the goods and services identified in the certificate of registration (15 USC Section 1117(b)), use of counterfeit marks is also a criminal offence (18 USC Sections 470 et seq.). US Customs and Border Control also have a role in blocking importation of infringing goods.12 One of the benefits of federal registration on the Principal Register is the right to record the registration with customs, and customs may prohibit entry into the United States of infringing goods and order the recall of infringing goods inadvertently allowed into the country.13 As with criminal measures, the more information that the rights holder can provide to the enforcement authorities, the more likely it is that effective action may be taken. Note that the rights holder receives no monetary recovery from the criminal procedure or from a seizure of goods by customs, but the rights holder likewise incurs no direct expense from the prosecution. There are a number of recent cases that have the potential to result in significant changes in the practice of trademark law and that reflect current concerns. Also of note, the Supreme Court decision on 19 June 2017 in Matal v. Tam, 582 US (2017) held that the section of the Lanham Act that barred registration of disparaging trademarks was unconstitutional under the First Amendment free speech provision as based on viewpoint discrimination. The decision specifically allowed registration of 'THE SLANTS' as a mark for entertainment services, although the term was deemed to be disparaging of persons of Asian ancestry. The decision ended the decades-long effort to cancel the registrations for the 'REDSKINS' mark and brought into question the related provision of the Act prohibiting registration of immoral or scandalous terms. The case dealing with scandalous marks, In re Brunetti, 125 USPQ 2d 1072 (Fed Cir, 2017) reached a similar conclusion, the Federal Circuit court striking down the ban. The PTO has not yet issued registrations for these marks, however, pending final resolution of the matter in the courts. The open question remaining is whether dilution provisions can withstand challenge to the extent that they are predicated on tarnishment rather than blurring as the basis for the dilution claim, since tarnishment is akin to disparagement. In the coming year, it may be anticipated that there will be decisions that clarify or confuse with respect to the extent of use in US commerce required to establish enforceable rights in a trademark, and that address the nature and extent of evidence that may be required to establish that a term is or is not generic for a particular good or service. It may be expected that the jurisprudence will continue to evolve on what constitutes persuasive expert evidence on apportionment of damages and surveys directed to secondary meaning as well as genericity and dilution. There are no major legislative initiatives planned with respect to trademark law, but there are likely to be changes in the rules of practice before the TTAB, particularly with respect to an abbreviated procedure for securing cancellation of registrations on the basis of abandonment. 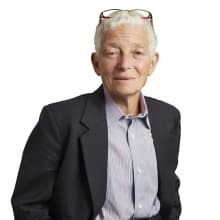 1 Roberta Jacobs-Meadway is of counsel with BakerHostetler. 2 Section 43(a); 15 U.S.C. Section 1125(a). 3 Booking.com B.V. v. Joseph Matal, 2017 U.S. Dist. LEXIS 126320 (E.D. Va., 9 August 2017). 4 See Section 2(d) of the Lanham Act, 15 U.S.C. Section 1052. 5 The primary register of trademarks maintained by the United States Patent and Trademark Office. It is governed by Subchapter I of the Lanham Act. 6 15 U.S.C. Section 1115(b). 7 Uniform Domain Name Dispute Resolution Policy, October 24, 1999. See: https://www.icann.org/resources/pages/policy-2012-02-25-en. 8 See Markman v. Westview Instruments, Inc., 517 U.S. 370 (1996). 9 Fed. R. Civ. P. 52. Also see: Bose Corp. v. Consumers Union of U.S., Inc., 466 U.S. 485 (1984). 10 Compare Progressive Distrib. Servs. v. UPS, Inc., 856 F.3. d 416, 427 (6th Cir. 2016) ('This Court considers the question of whether there is a likelihood of confusion to be a mixed question of fact and law'), with: (1) Dorpan, S.L. v. Hotel Meliá, Inc., 728 F.3.d 55, 64 (1st Cir. 2013) ('Likelihood of confusion is a question of fact'); (2) Gruma Corp. v. Mexican Rests., Inc., 497 Fed. Appx. 392, 395 (5th Cir. 2012) ('The issue of likelihood of confusion is generally a fact question'); and (3) 1-800 Contacts, Inc. v. Lens.com, Inc., 722 F.3.d 1229, 1243 (10th Cir. 2013) ('Likelihood of confusion is ordinarily a question of fact for the jury'). 11 See: the Lanham Act 15 U.S.C. Section 1117(a). 12 15 U.S.C. Section 1124; 19 C.F.R. Sections 133.1 et seq., Sections 162 et seq. 13 See: https://iprr.cbp.gov; 19 C.F.R. Sections 133.1 et. seq. 14 819 F.3. d 697 (4th Cir. 2016), cert. denied 2017 WL 737826 (U.S. 27 February 2017). 15 See: Person's Co. Ltd v. Christman, 900 F.2. d 1565 (Fed. Cir. 1990). 16 But see: Jung v. Magic Snow, LLC, U.S. Opp. No. 91/226,056 (TTAB 20 September 2017). 17 841 F.3. d 986 (Fed. Cir. 2016) (Adidas). 18 See: Larry Harmon Pictures Corp. v. Williams Restaurant Corp., 929 F.2. d 662 (Fed. Cir. 1991). 19 841 F.3. d 990 (Fed. Cir. 2016). 20 See Parks, LLC v. Tyson Foods, Inc., 863 F.3. d 220 (3d Cir. 2017).